Anushka is seen portraying two contrasting roles and what eerie similarities that connect both characters forms the film’s core point. The spooky trailer with spine chilling elements have set a high bar on the film. The rich production values by UV Creations and the strong technical bravura are likely to be the selling points for this film which is directed by Ashok. Let’s see if Bhaagamathie can emerge as the first blockbuster of 2018. To keep a check on the rising popularity of central minister Mr.Eeswara Prasad ( Jayaram) in his home state, central government deploys CBI joint director vaishnavi on special duty. Idea is to frame illegal cases on Mr.Prasad , who has cleanest image in the state. Chanchala ( Anushka Shetty) is a prisoner , whose past is an IAS officer who had worked as a secretary to Mr. Prasad , long term associated with him. CBI wants to interrogate Chanchala, convince her to lie against Mr.Prasad , so that they can proceed with filing cases againt him. In this process, CBI shifts Chanchala secretely to a decades old bungalow in a forest. Inside the bungalow chanchala starts experience horror with the ghost ( of Bhaagamathie ) to whom the bungalow belongs to. Rest of the story is about Bhaagamathie’ background, chanchala’s experiences in the interrogation bungalow and how police deal with schizophrenic side of her. 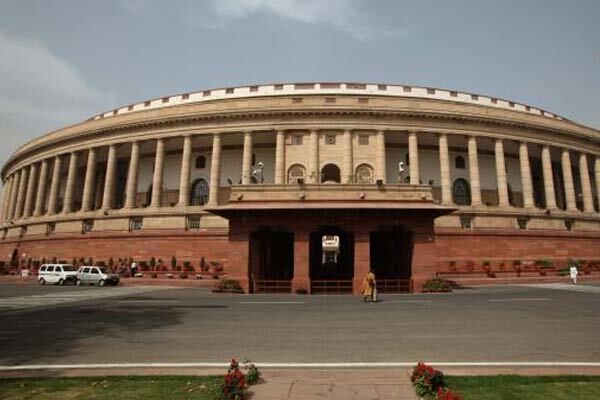 What is the curious case of Mr. Eeswara prasad is the real knee jerker. Anushka Shetty rocks as Bhaagamathie in one scene she appears in that role. As Chanchala it is an easy task for her to portray the dual shaded role of an IAS Officer. Jayaram is cool as Mr. Eeswara Prasad, Murali Sharma is adequate as ACP. Prabhas Seenu, Dhanraj and Vidyullata Raman played comedy cops and are okay. This film belongs to technicians. First is the background score, and next is the sound design. S S Thaman takes all the credit for the good BGM. Also, R Madhi’s cinematography captures the mood well and his camera movements, angles are rightly done for horror scenes. Kotagiri’s editing is crisp except Shakti ( Unni Mukundan) ‘s scenes. Director G. Ashok has come up with novelty in script but end of the film fails to make a solid impact. 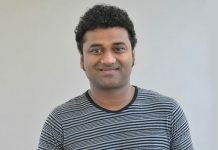 Production values by UV Creations are grand. Bhaagamathie film takes off leisurely, sets pace once Chanchala ( Anushka) enters the Bhaagamathie bungalow. Once she enters the bungalow the horror themed scenes are engaging mainly because of audiography. Three four times across the film, audience will experience nice horror elements. With some inconsistent graph, movie reaches towards interval block. 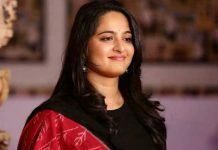 Anushka shows up as Bhaagamathie is a high point for the film. Her body language in this scene is a combination of Arundhati and Baahubali Devasena. Thus, by end of first half, though much of the story is not revealed, the right premise was set for second half. Only one song in the film ‘ Mandara Mandara ‘, which is pretty average and can be skipped. But second half falls short of expectations in terms of horror. Bhaagamathie flashback is narrated verbally, where visual narration would have shown some impact. In addition, when audience are tuned to know more about Bhaagamathie , contrastingly Chanchala’s flashback with Shakti ( Unni Mukundan) sequences open. This is where screenplay failed. In Mid second half a superb twist happens, which is totally unexpected. However, the kick generated because of this twist lives shorter for audience. Sooner the film sets as only a political mind game. Audience might feel being duped at this point (not delving into this as it is a spoiler). Though director tried to cover the bases by explaining with two examples but it appears a forced. Then if we treat the subsequent twists as just a regular revenge formula ones, then the mind game revealed towards the end might be acceptable. However, lack of emotional backed story is the major drawback and gives less impact to the whole drama.